This page has a few pictures of family interest. Here's a list, so you don't have to scroll through them all. 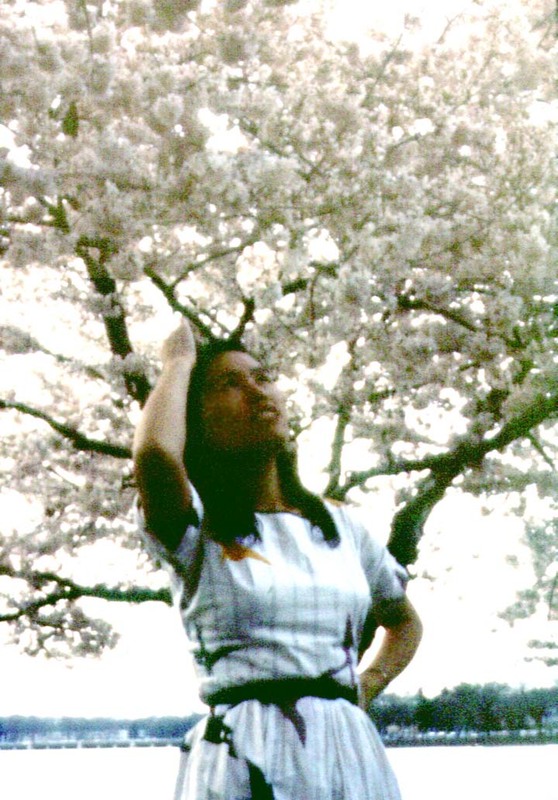 A picture of Ina in Washington, 1959 or 1960. The plan for the dock modification at the cottage in Mindemoya, 1998. The house at 369 Church Street, Weston, in 1949. Dad, Vin and me in the driveway of the house at 291 Wilson Heights Blvd, probably in 1953. 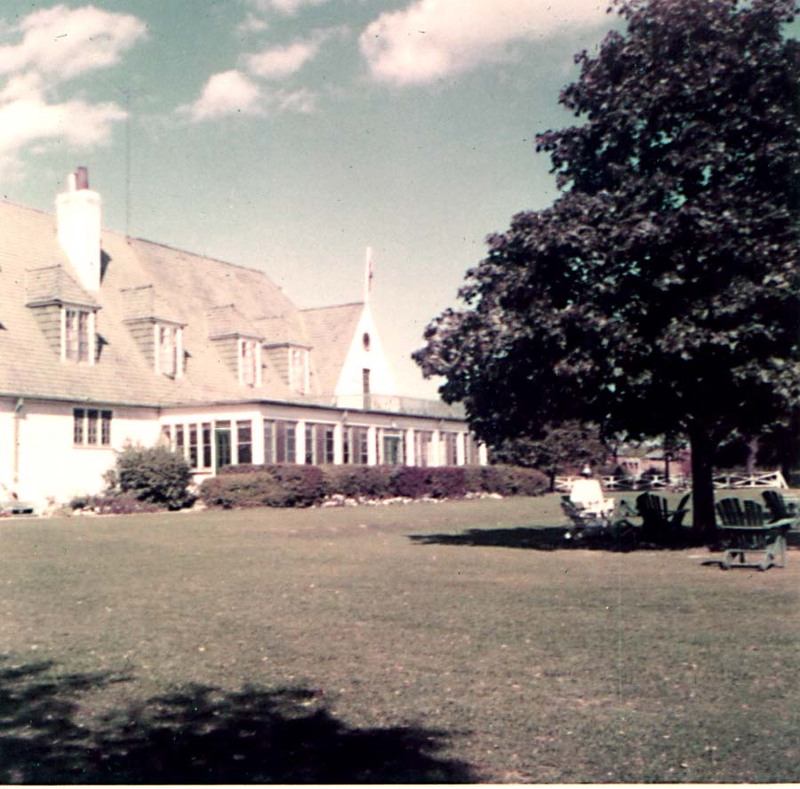 The old Toronto Cricket Club clubhouse, probably in 1954 or 1955. A few pictures from the 1955 Ontario cricket team trip to the Interprovincial Tournament in Vancouver (these are on a separate page). Pictures of Dad, and some taken by him of other people. 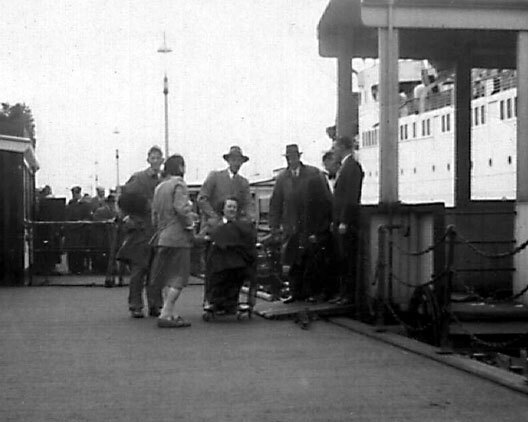 The 1954/5 pictures are from prints that have gone largely monochrome pale magenta. These restorations are the best I have been able to do with the software at hand. Perhaps with more time, I could do better. This is a picture of Ina in 1959 or 1960 in Washington at cherry blossom time. You can see a bigger version by clicking on it. It was scanned from a 35mm slide that had turned quite magenta, and the bigger version shows a lot of grain and green flecks in thedark parts, but I think it's not too bad. This is rather rough picture of the planned alteration to the dock of the cottage in Mindemoya. As of the beginning of winter 1998-9, roughly this much had actually been done, except for the steps into the water. The picture does not show railings, boat tie-up points, and the like, but they must be done before the job is completed in spring 1999. You can click on the picture for a bigger version. 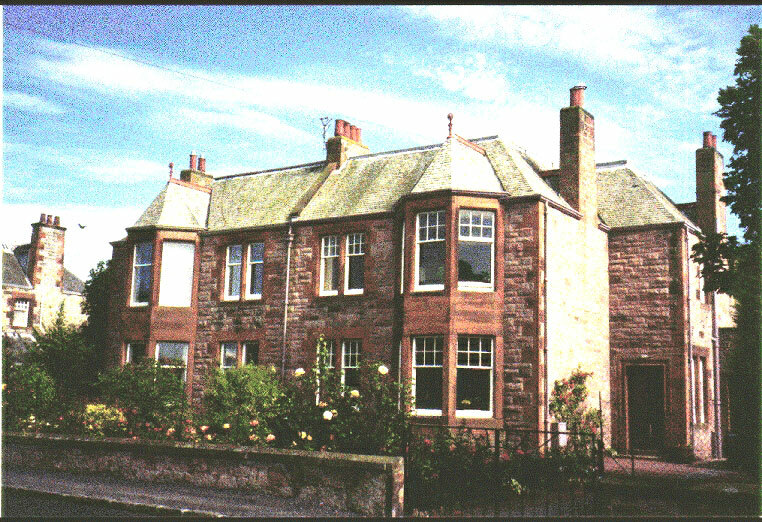 Belmont, Broadgait, Gullane, Scotland. 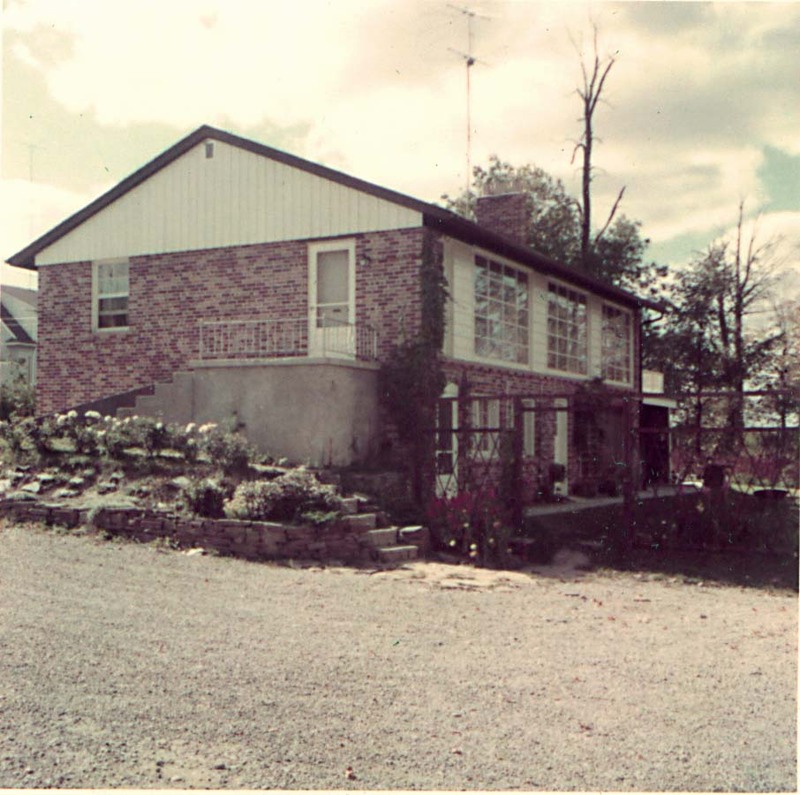 This is the house we lived in from 1945-49 and 1950-51. (There isn't a larger version to be obtained by clicking). 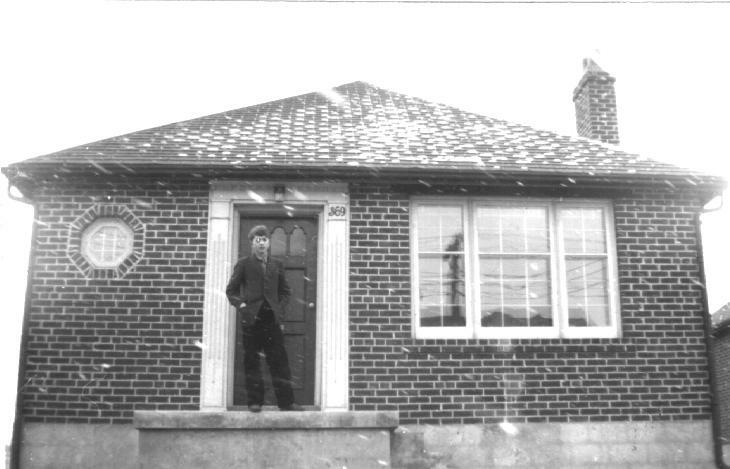 Here's a picture of the first house we lived in in Canada, in winter 1949, at 369 Church Street, Weston. That's me standing in front. (Picture provided by Vin). These pictures of the house at 55 Ettrick Crescent, Weston must have been taken some time between 1952 and 1956. 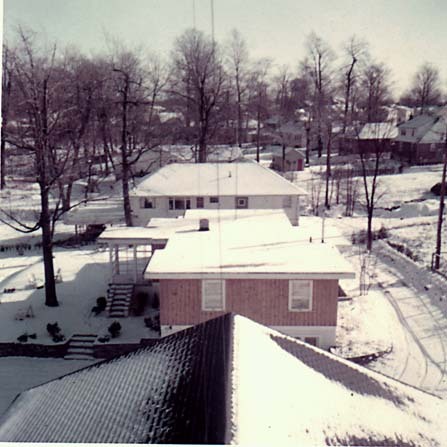 This is taken from the antenna mast of the house, looking toward Anderson's house. There isn't a bigger version to click on. Here's the house itself. This one does have a bigger version if you click on it. The garden from the top of the path steps. Again there's a bigger version. Here's the old Toronto Cricket Club before amalgamation. 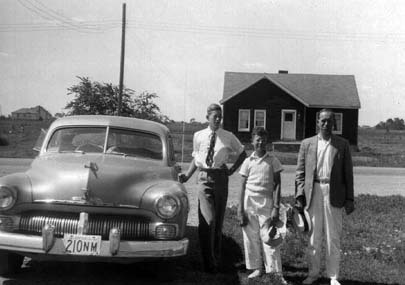 This picture dates the film that contains all these pictures to before 1956, because in 1956 the new clubhouse was under construction. 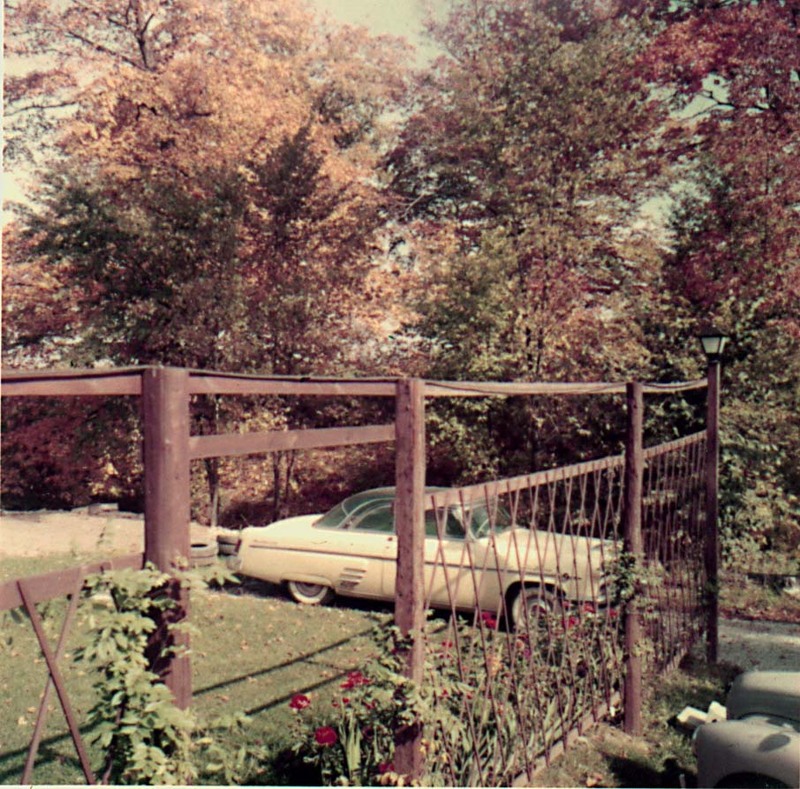 I think it is 1955 or 1954, because the following pictures are of the Ontario cricket tour to BC in 1955, and these pictures seem to show autumn, presumably the previous year. This picture is also clickable.